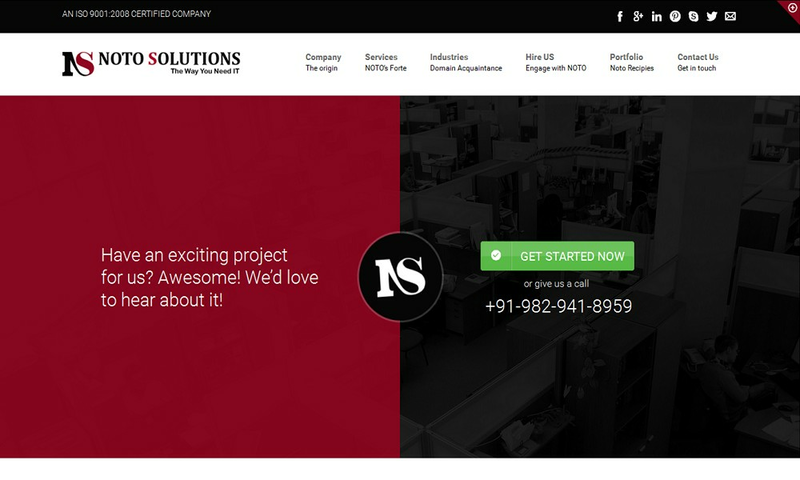 NOTO IT Solutions, an ISO 9001:2008 certified custom web design and Web Development Company based in Jaipur, Rajasthan (India) with its corporate offices in USA, Australia, Canada and Singapore. Company recognized among the leading IT companies in India and outside, due to its highly experienced team of IT professionals who works 24/7 dedicatedly with their ingenious and creative approach. An experienced talent pool with an adept understanding of Open source and Mobile, web environments takes care of (almost) all kinds of application development needs. Within a few years of establishment, company has achieved quality certification (ISO 9001:2008) from the authorities and associations with Microsoft, Amazon, E-bay, Acquia and Kentico. So when it comes to quality measures, NOTO is at par with industry standards and this is company's unique selling identity.